At this point, nobody’s surprised by this kind of news, right? Donald Trump just appointed yet another wildly unqualified and completely homophobic fanatic to a high-level government post. (Of course he did.) 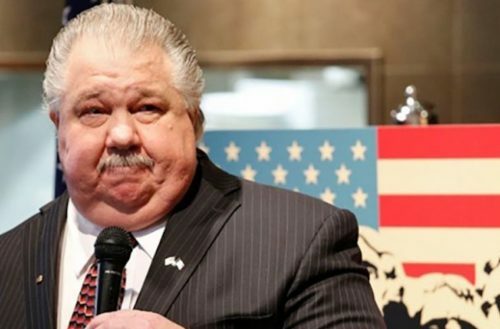 This time, it’s Sam Clovis getting a job as a top scientist at the Department of Agriculture. There are just a couple problems. One is that he’s not actually a scientist, and the other is that he believes being gay is a choice. What’s worse, Trump’s pick of Clovis to head the USDA’s research division might actually be against the law. That’s because he’s required to choose someone who has “specialized training or significant experience in agricultural research, education and economics,” and Sam Clovis has no particular expertise or skill in any area, let alone agriculture. Clovis started his career as an airplane pilot, then worked for a defense contractor, then hosted a radio show in Iowa. He ran for Senate a few times, but nobody wanted him in office. Just about the only thing Clovis has ever managed to accomplish was cling to a job in Trump’s election campaign. And now he’s gotten a job offer for a job he’s wildly unqualified to perform. Based on some of his past statements, it doesn’t seem like Clovis has ever even heard of science. He stays that climate change is “junk science” when in fact there’s overwhelming scientific consensus that humans are driving catastrophic changes in the climate. He says that homosexuality is probably a choice. And he says that providing equal rights for LGBTQ people will lead to legalizing pedophilia. You know, the usual junk from right-wingers who have no idea what they’re talking about but believe they’re experts. 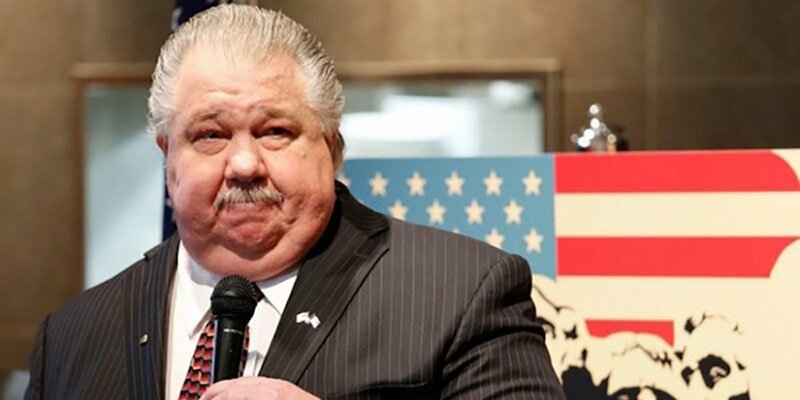 In response to questions about Clovis’ statements, a spokesperson for the USDA said, bizarrely, that the science of homosexuality was settled by the Supreme Court in 2015. That’s just not even remotely true — the court ruled on the constitutional protections for marriage equality, but that had nothing to do with whether people choose to be gay. Clovis has also accused President Obama of faking his birth certificate, so he’s part of that whole “birther” circus. And he’s said that climate change was “a big hustle” designed to “redistribute wealth.” He’s also referred to the “Agenda 21” conspiracy theory about a sinister shadowy world government. So what qualifications does Clovis have? Well, he’s awfully good at making Donald Trump feel good about himself. Clovis helped orchestrate a presentation about NAFTA for Trump that hinged on how popular Trump was in certain counties. In his new job, he’ll oversee a budget of $3 billion. He won’t be as dangerous to queer people as, say, the head of the Department of Education. But Clovis could still impact programs that seek to correct discrimination against queer people in agriculture. Currently, LGBTQ farmers face significant obstacles due to entrenched bigotry in the industry. Programs set up under the Obama administration sought to address those inequalities — but it’s hard to imagine that Trump’s pretend-scientist will have any interest in allowing that work to continue.